Julie Bickford, Artistic Director, is an American choir conductor and soprano with a long history in choral music. As a child, she was a founding member of Chorus Angelicus, the acclaimed CT children’s choir, then under the direction of Paul Halley. Her time in this ensemble formed the foundations for her future musical study. She went on to be a part of the Young Artist’s Preparatory Program at the Hartt School of Music where she studied voice under Robin Blauers and Mitch Piper. 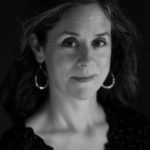 Julie holds a Bachelor of Music in Vocal Performance from Ithaca College and a Masters of Music Education from the Hartt School of Music, University of Hartford. She has sung under the conductors Dr. Edward Bolkovac, Laurence Doebler, Dr. Janet Galvàn, Christine Givert, Gabriel Löfvall, and Nicholas White, and has prepared children to sing under the direction of Jane Glover. After completing her undergraduate degree, Julie became the Junior Choir conductor of Chorus Angelicus and held this position for nearly a decade. In 2007, she moved to the Berkshires to be the choir director at Monument Mountain Regional High School in Great Barrington, MA. There, she has worked to build the choral program and develop new curriculum, including piano and music theory classes as well as the school’s first a cappella group, the Spartones. 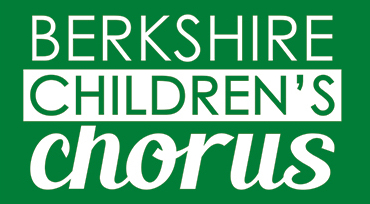 As the Artistic Director of the Berkshire Children’s Chorus, her tenure has included expanded recruitment efforts, exposing the choristers to major works as well as classic treble choir repertoire, and facilitating collaborative projects with other area arts organizations. In July of 2017, the BCC Senior Choir and Coda ensembles traveled to the International Children’s Choir festival in Canterbury and London, England. This year, they will tour Cape Cod, MA.